In Ideas, Book I Husserl develops his mature theory of intentionality as the fundamental structure of consciousness composed of noetic, subjective moment on the one hand, and noematic, objective moment on the other. In other words, intentionality is the sense-bestowing relation between mental process and its objective correlate, its sense: the noema. 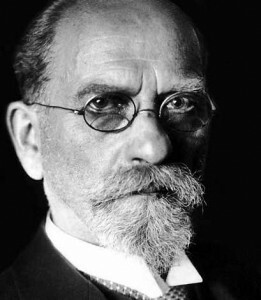 The notorious difficulty of Husserl’s passages on noetic-noematic structures prompted the contemporary debate about the role and ontological status of the noema. According to the Fregean interpretation (proposed by Føllesdal), the noema is an abstract entity mediating the relation between mental act and its object. As opposed to this, John Drummond understands the noema as the object of intention itself, only modified through the phenomenological reduction. In my presentation I will explain why Drummond’s view better captures Husserl’s model of intentionality and how Husserl’s notion of the noema can be used for introducing a fruitful, non-linguistic theory of sense. This entry was posted in Philosophical and tagged Husserl, Noema on 07/03/2018 by Mary. Рretty! This has been an incredibly wonderful article. Thanks for supplying thіs info.